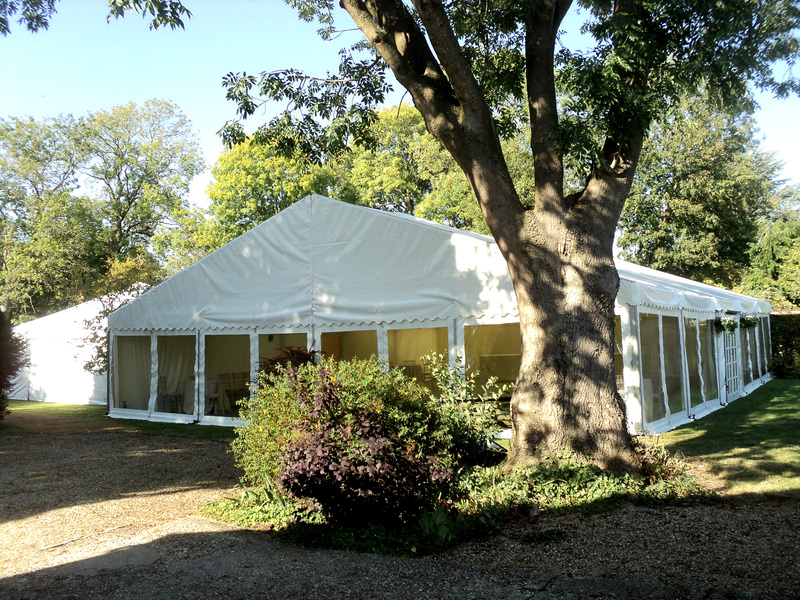 We offer a wide range of marquees from 10ft x 10ft to 50ft x 110ft in various shapes. How much room do you need..? You may think that your garden is not big enough or not the right shape for a marquee. 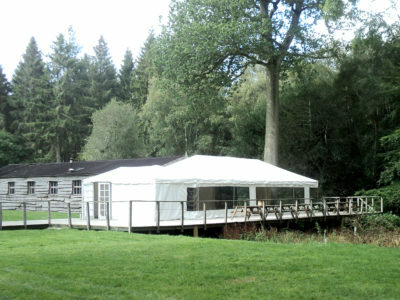 We have connecting walkways so we can join two areas of your garden together allowing you to have two marquees in an unusual shaped garden or we can join the marquee to your house to create an extension to your home. 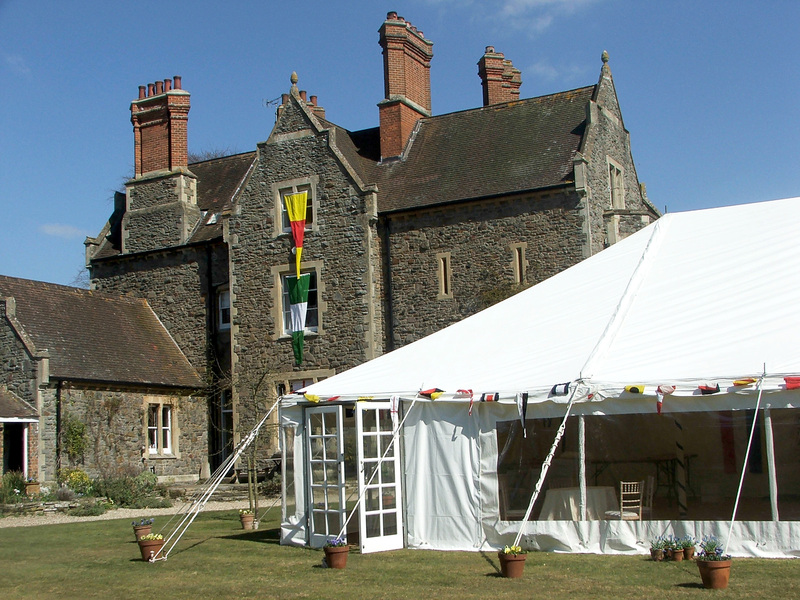 Pole to Pole Marquees can provide you with the marquee you need to make your event special, whether you are planning a wedding, christening or party we can cater for every occasion. 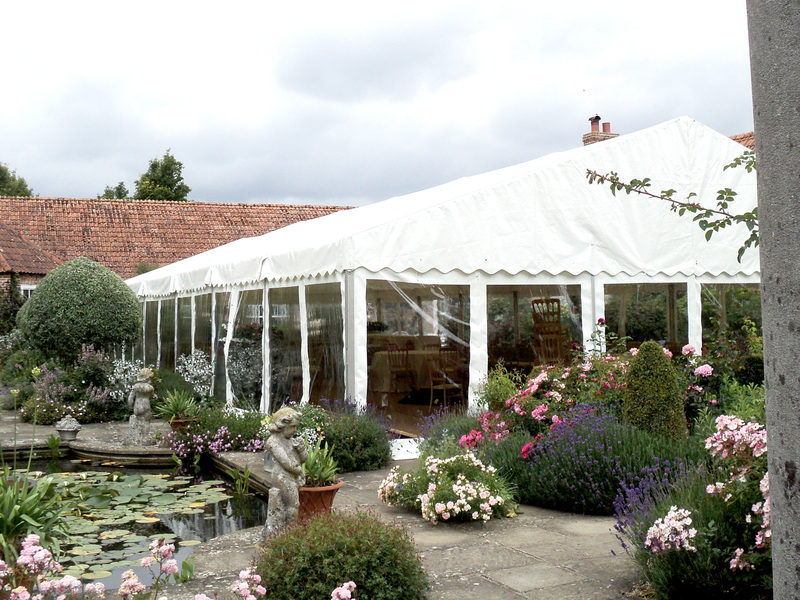 We offer a personal yet professional service to ensure your day is perfect. We can make any size marquee to suit your event. If the size you need is not shown, please call us! * These figures are for guidance only and final capacity is determined by dance floor, bar and buffet arrangements, bands etc. 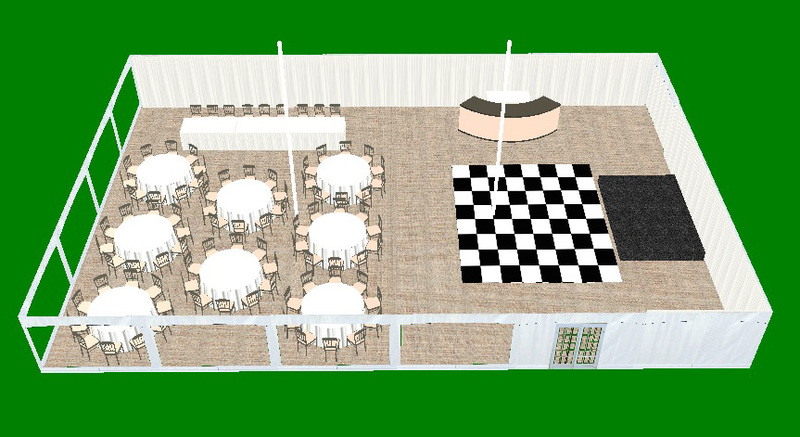 Includes 2 x window walls, double door entrance, stage, dance floor, bar, VIP seating for 9 and main seating area for 80 guests. Please give us as much detail about your event as you can. 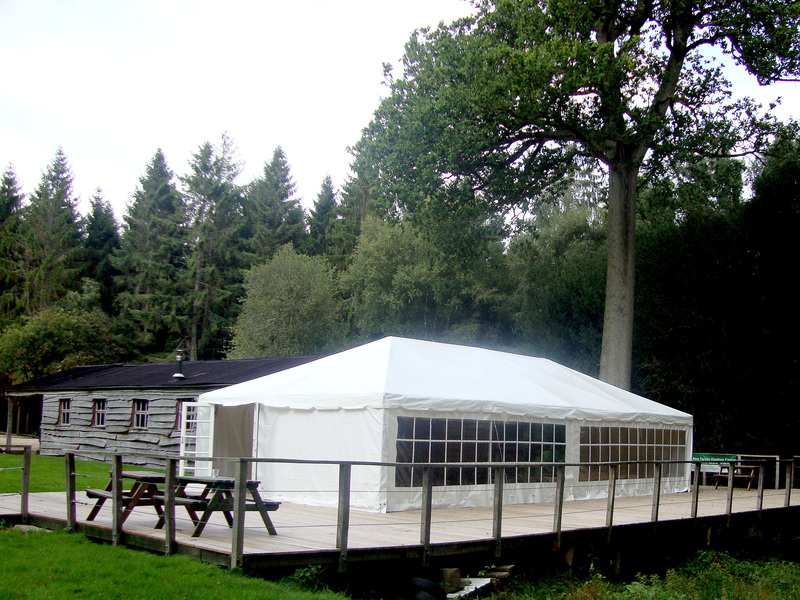 We will get back to you to discuss in more detail and provide you with a no-obligation quote. 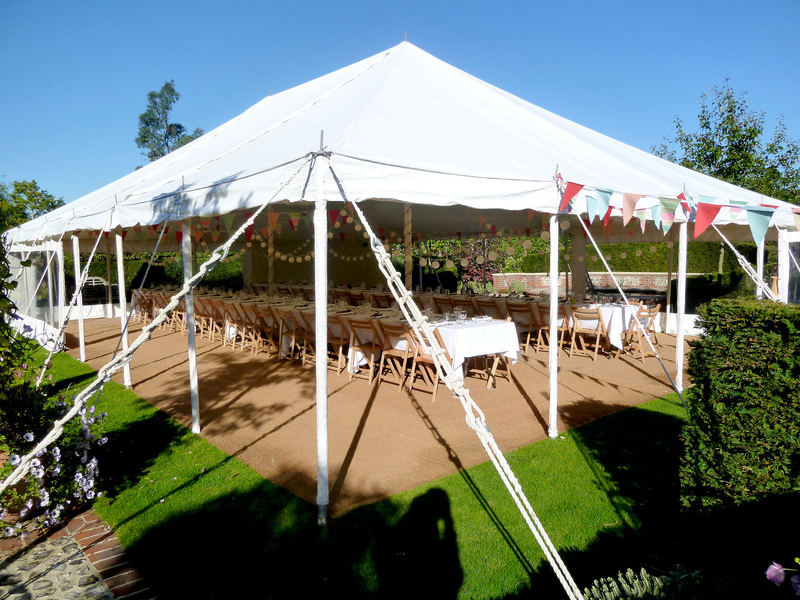 By submitting your details in this form you are agreeing that Pole To Pole Marquees can process your data in order to respond to your enquiry and any subsequent order. If you would like to receive future news, competitions and special offers from Pole To Pole Marquees, please tick this box... Yes please! Keep me up to date.